Interactive content can move users from likers to lovers of your brand. We marketing types tend to map the buyer’s journey relative to, well, buying. 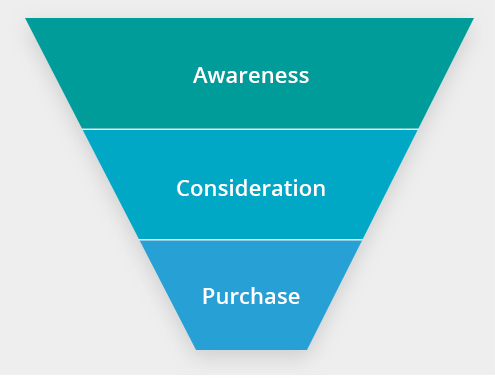 You know your funnel metaphor: awareness, consideration, and finally, the purchase decision. Because buying always involves emotion, today I propose we reconsider these phases or stages as emotional milestones. Think about it this way: Getting someone to “like” your brand may have no actual effect while getting someone to love your brand inevitably translates to sales. There’s no avoiding the re-use of this tired term. Whether your tactic is a promotion, ad, mailer, blog post, social media update, event, or what have you, you simply can’t earn the affection of a customer until they come to know your brand. Now things get interesting, emotionally speaking. Why? Because the person whom you court doesn’t just read, listen or watch — they ACT. They answer questions, upload content, vote, assess themselves, etc. Interactive content tools afford you opportunities to engage prospects in a variety of ways. The point: they’re engaging. The participatory action makes the experience far more memorable—and often, fun. What do we have here? Fans. You want them. You use social media to get them. You aim to interact with them. And when you succeed, you win a shot at creating something you can’t put a price on: passion. Passionate fans buy. Passionate customers tell their friends. They become advocates of your brand. Brand advocates have always been “money” in the marketing realm. In the age of social sharing, they can be virtual goldmines because they go out of their way to spread the love. It may be going a bit far to give interactive content tools complete credit for winning subscribers, fans and advocates. They are, as suggested, tools. Let’s say a contest or promotion like the ones shown above did the trick. Whether your connection came by way of Facebook, Instagram, email, or some other channel, you managed to get on people’s radar. They became aware of your brand. Again, the examples above inspire people to act. 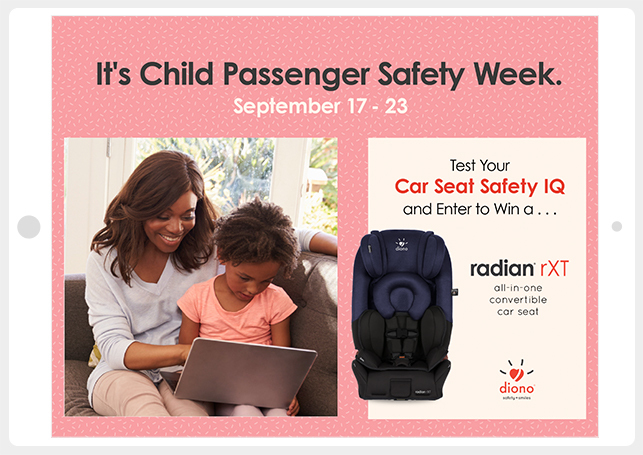 Participation in the campaigns involves putting some thought into your response—such as testing your car seat safety IQ or uploading a favorite photo. Though these are just a small sample of acts of engagement, they are great examples of participation, which moves prospects and customers further through our emotional investment funnel. Stated simply, as a participant, the more involved the experience of interacting is the more emotional equity you’re bound to earn. 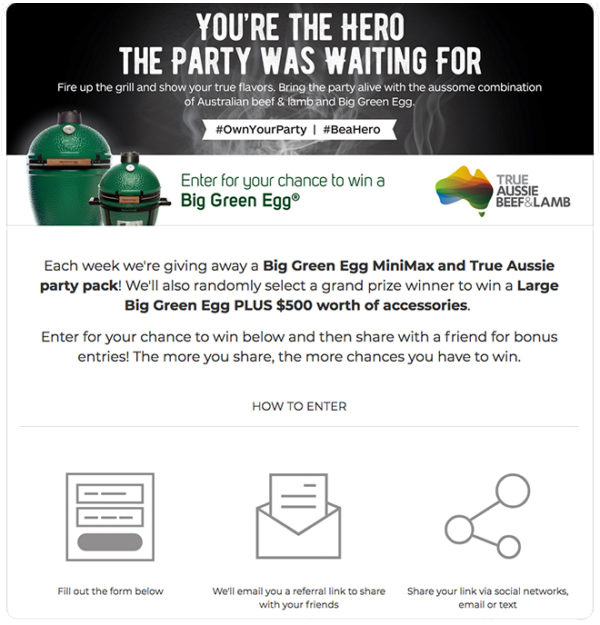 This is an example of a contest requiring entrants to tell a story, which obviously requires quite a bit of thought. The act of voting is also highly interactive. 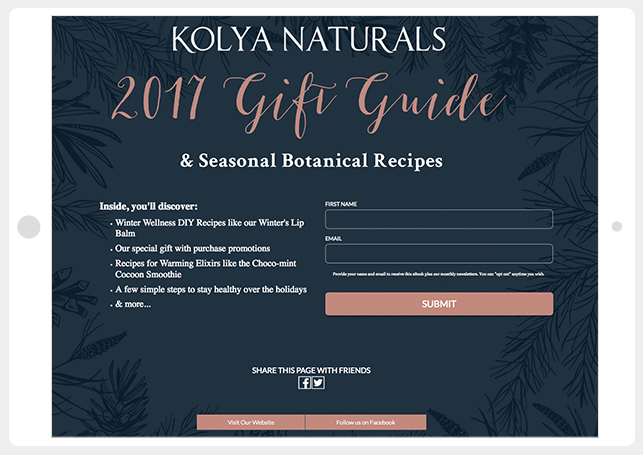 The sample campaigns I’ve shown you—and the many other promotion types you can create with interactive content tools—are designed to involve an opt-in process. So, should you use marketing automation to follow up with email autoresponders, you earn new subscribers. They have participated too. Again, they took action. We’re halfway through our journey to the ultimate destination: advocacy. The next milestone is fandom. 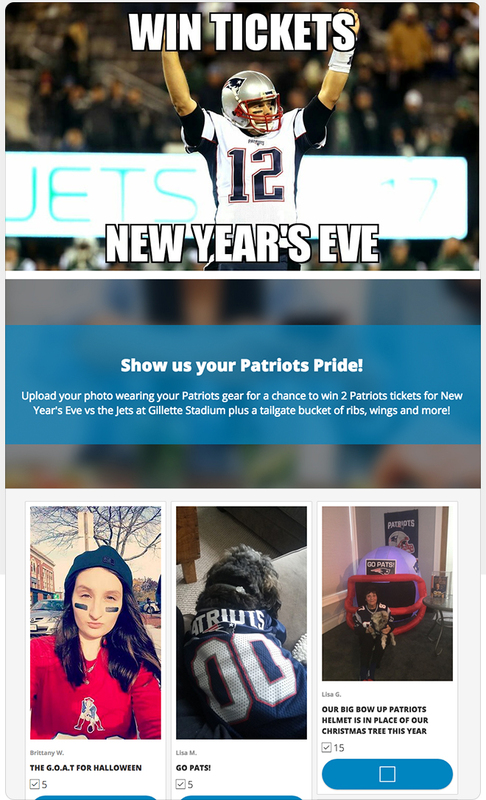 How might you use interactive content tools to win fans? 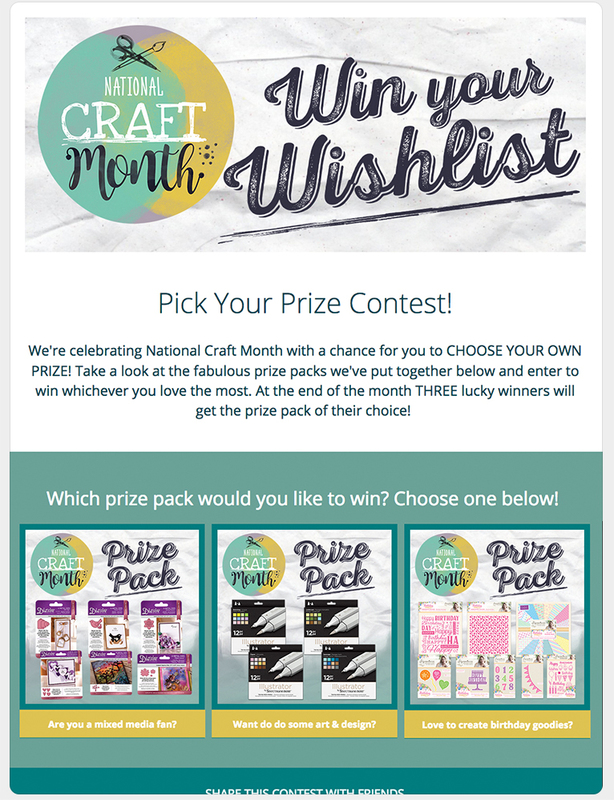 A “Pick Your Prize” contest can be used to showcase your products. 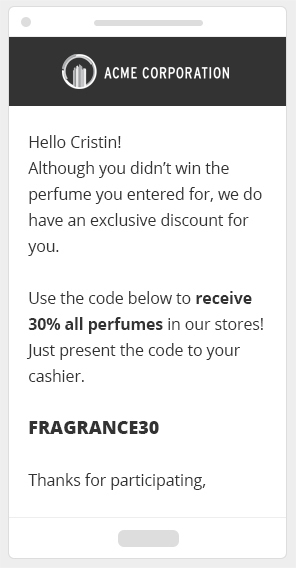 A smart tactic for winning fans is to reward participants with a discount even if they don’t win the contest. 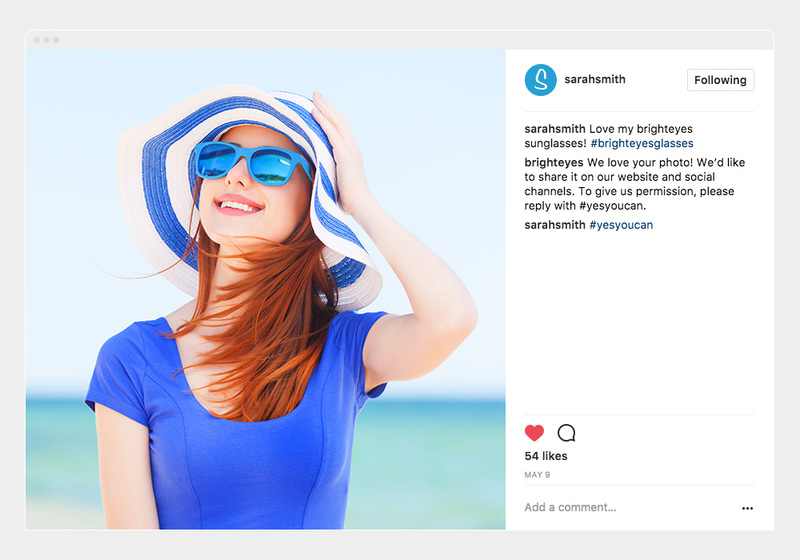 Asking a contestant for the right to use a photo, video or any content they’ve submitted in your promotions is a great way to earn a fan. There are a variety of ways you can make your campaigns call for continued interaction after the original point of contact. 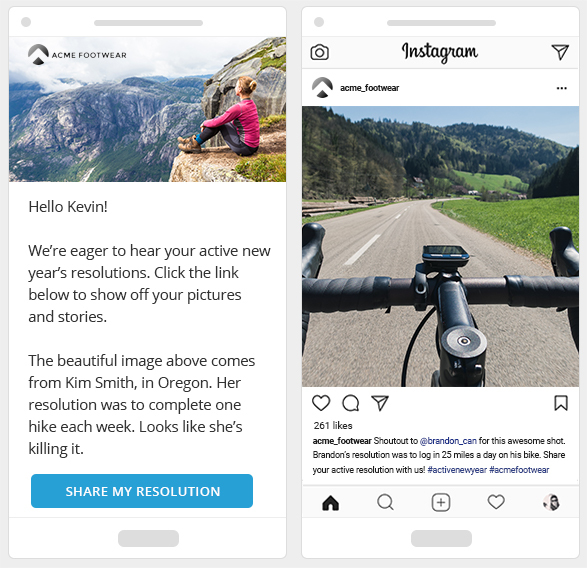 The many ways you can ask contestants to stay involved includes asking them to share a contest with friends via an Instagram post with your campaign’s hashtag. 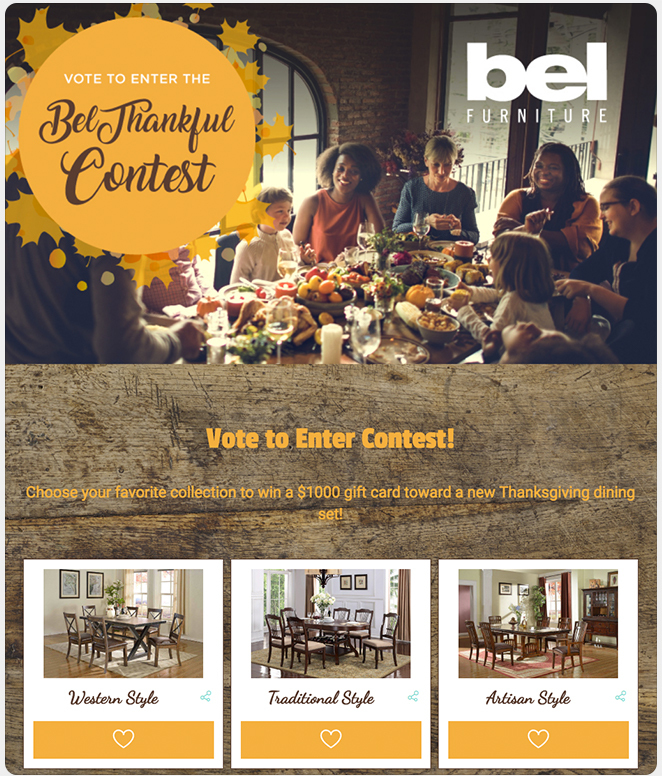 You could create a contest that involves voting for the winners. 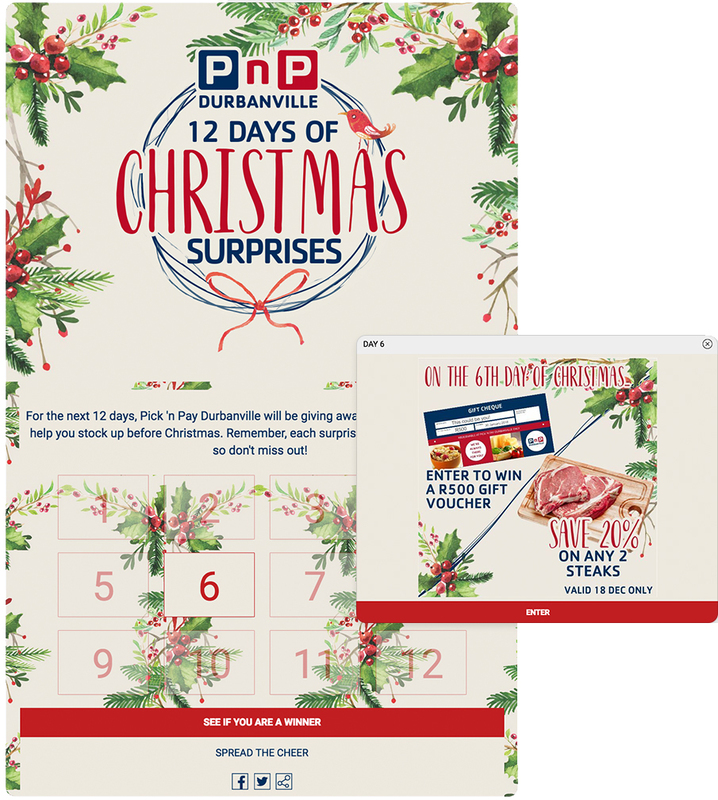 Encourage repeated interaction with a multi-day calendar promotion that offers daily prizes. The quote above comes from the inside flap of Flip the Funnel, a book by Joseph Jaffe. The following diagram presents the essential idea in simple terms. 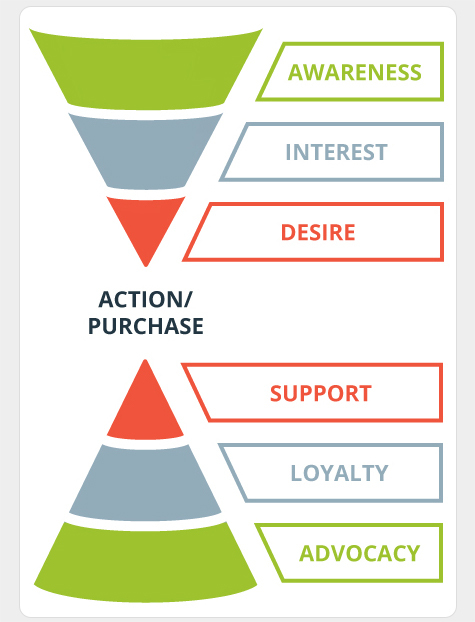 The buying-cycle funnel metaphor evolves to resemble an hourglass when you succeed in winning support and loyalty from customers, and ultimately, creating brand advocates. Again, the goal is to inspire customers to work on your behalf to get referrals. The very idea of conducting contests, sweepstakes and interactive promotions such as a trivia quiz or personality quiz, is to ignite a passion of some sort: winning, saving, learning, playing, etc. All of the idea and examples I’ve shared in this article aim to help you move potential customers into your funnel and then moving them through it by touching a series of emotional milestones. Of course, you can also employ tactics with your promotions and campaigns to deliberately foster word of mouth and social sharing. Consider announcing the winners in a public way. Doing so is bound to inspire winners to talk-up your campaign and brand. 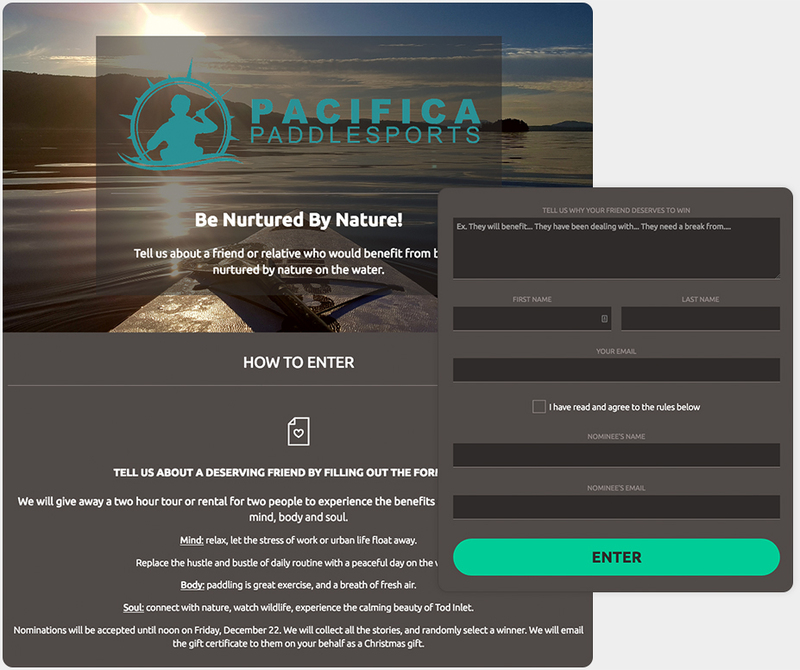 ShortStack contests may ask participants to refer a friend. 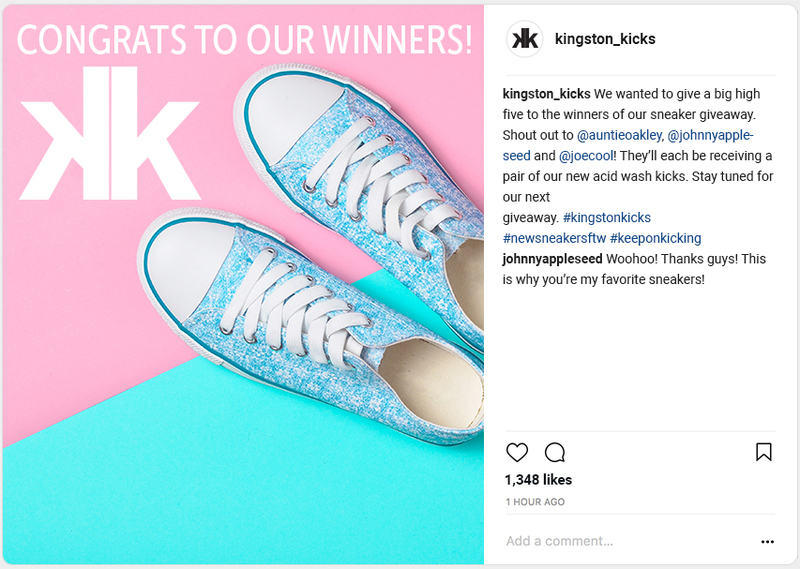 The many contest types that involve submitting content lend themselves perfectly to extending them into social media promotions. 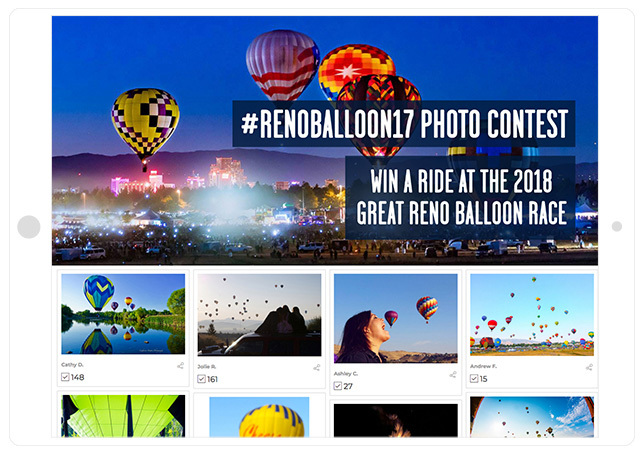 You can showcase user-generated content in a variety of ways: on web pages, via email, and via social media. Make sure to get users primed for sharing by alerting them they’ve been featured. 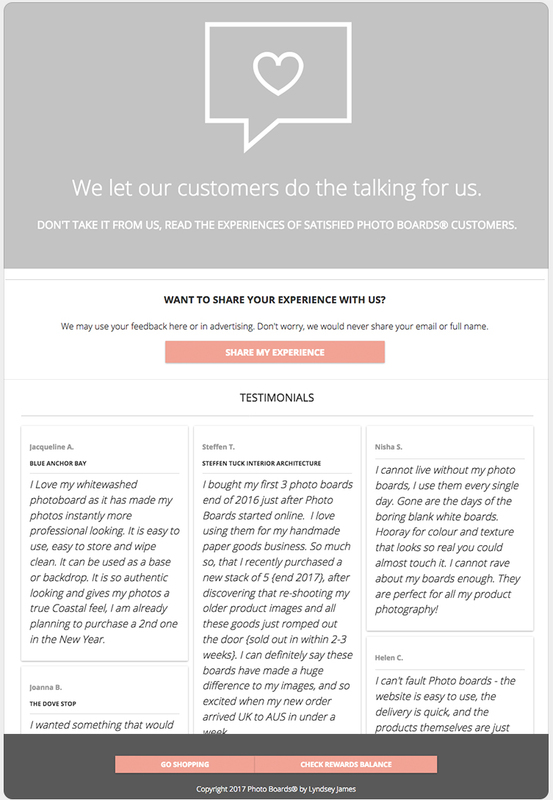 Invite satisfied customers (and highly engaged contestants) to submit testimonials about your brand. 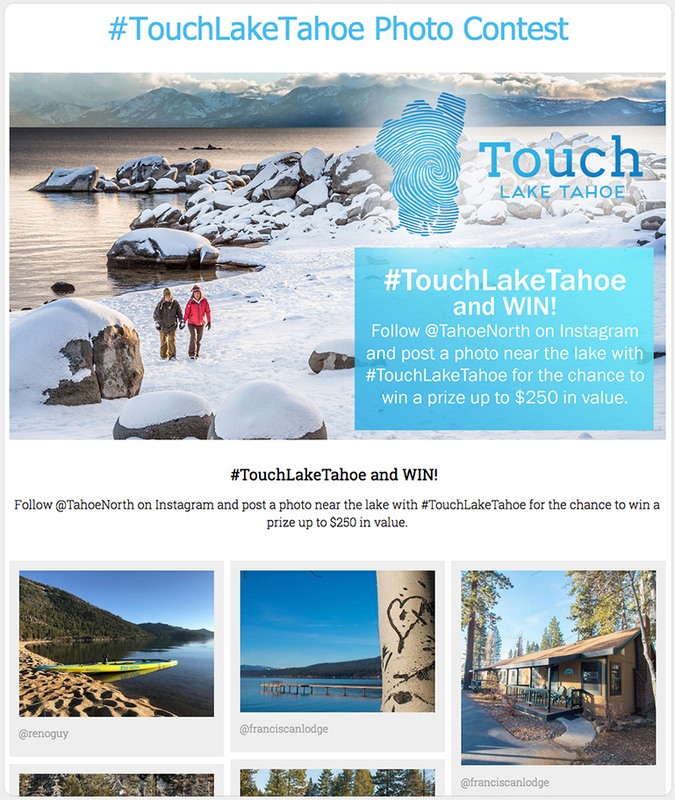 Note how the footer includes social media sharing buttons, and multiple calls-to-action. 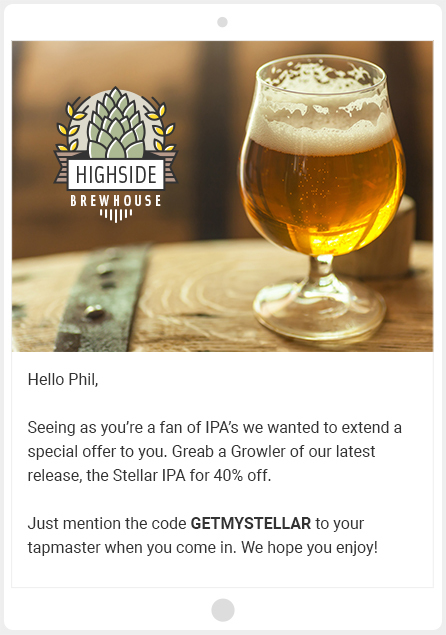 “Great marketers send personalized email,” said I in a post about using email autoresponders to create better customer experiences. Send personalized coupons using a tool like Dealkit. The most precious love stories are long lived. In this post, I’ve explored many ways to foster awareness, participation, fandom and advocacy, and I hope I’ve ignited a fire in you to win the trust and love of your customers with the power of interaction. Use your imagination to build on these ideas. Be creative and communicative. And keep kindling the flames forever more. Create your first interactive campaign!